We are a leading Manufacturer of Pre-Compressed Pressboard, Pre Compressed Press Boards, Pre Compressed Board, Insulation Pre Compressed Press Board and Pre Compressed Board-Pre Compressed Press Board from Ladwa, India. Pioneer in multi opening press technology with carrier plate less operations for electrical insulation grade press board for transformer & for power sector. Known as sunmica or formica. Press line comprises of prespres, elevator conveyor, tray belt type loader, multi opening press, vacuum extractor, unloading cage & automatic stacker. Mill boards can be availed at competitive prices. Besides, we manufacture these boards with the help of excellent grade asbestos fibers that are essentially credited as incombustible fillers & vegetable binders. We also ensure that all these boards are tightly packed using better quality packaging material that can be customized as per our clients' preferences. We provide complete solution of pre compressed press board that are used in various types of transformers. 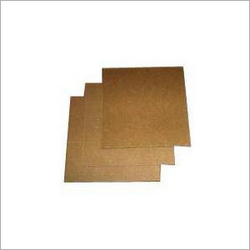 We offer these pre compressed press board as per the requirement of clients in various parts of the world.